DAVID LE/Staff photo. 2/25/15. 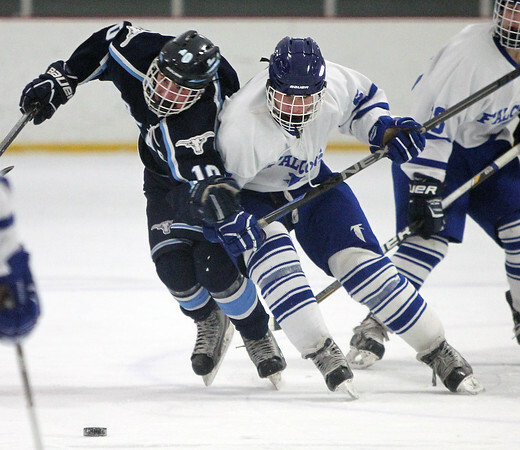 Peabody senior forward Ryan Carney (10) gets run off the puck with a huge check thrown by Danvers senior forward TJ Deinstadt (5) during the first period of play on Wednesday evening.